42 long shadow social icons have been designed by our designing team to provide you with the finest and cutest social icons. All websites and portals now wish to provide social networking features on their platforms. They wish that their users remained hooked to the website and at the same time share all the latest updates. Hence, web designers need social icons to add on to their website or portal designs. We are glad to offer 42 long shadow social icons that are stunningly beautiful and at the same time fit perfectly into any website or portal design. 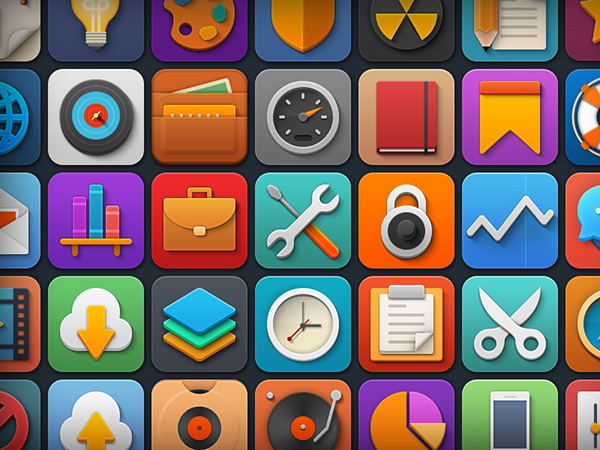 These PSD social Icons are the best option available across the net. You can simply add them on your website or portal and present your visitors with something interesting that they would love to use. 42 long shadow social icons are the right choice for your website/ portal. You can download these for free and tweak the designs according to your designing needs. Since all the icons are available in easily downloadable PSD format created with shaped layers, so you can increase or decrease the size of the icons without worrying about hampering the image quality. It is time that you download the icons and enjoy the social fan following!